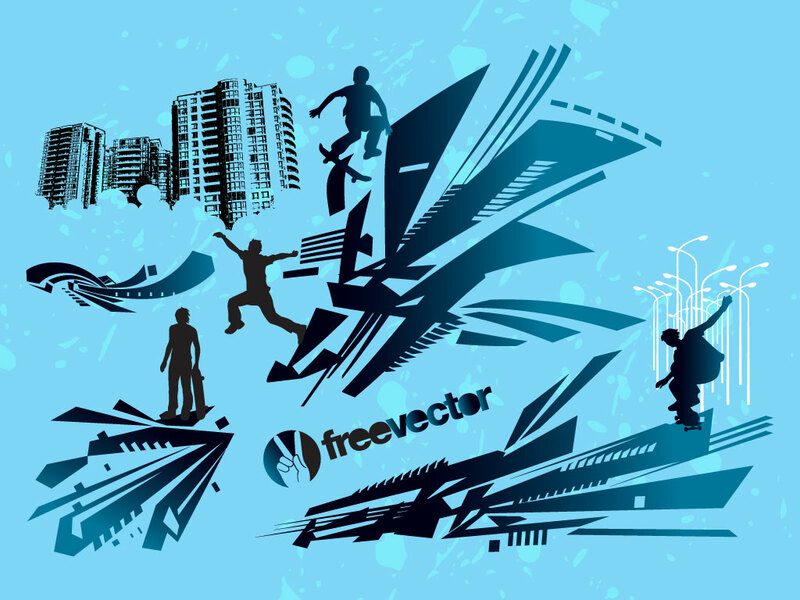 This vector pack comes with a great mix of urban style vectors. Includes silhouettes, buildings, skate boarders and abstract urban shapes. A great graphic set with all the vectors your need for a punk, skate style or urban t-shirt, flyer or poster design. Tags: Abstract, Building, City, Punk, Skate, Skate Boarding, Urban.